Up in the sky is very different from life on the ground in Ho Chi Minh City. If you’ve read our Part 1 of the travelogue you will have read how overwhelmed we were with the disparities in Phnom Penh. Here, disparities are accelerated x10 in a frenzied manner than only a manic city can emulate. Look up! Some of the most impressive high-rise glass buildings are towering above you, boasting sleek offices and jazzy, plush roof top bars and clubs. Those who have it good really have it good here. Look down! You’re probably about to step in something you don’t want to – or on someone you don’t want to. Poverty is not ubiquitous here but there are definitely large quarters where people are struggling. 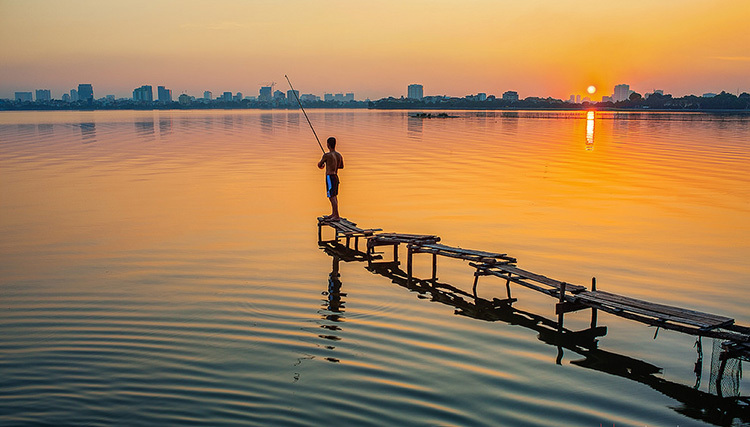 In a city that is decidedly alive – versus the somewhat lazy Phnom Penh – it can be hard to pick out your path in a relaxed manner. Look around! For you never know who is going to inadvertently pinch something – or who you might meet. During our stay we were witness to the most fantastic sense of camaraderie between the locals when Vietnam won the football match against Malaysia. This is a testament both to the passion of the people and the energy of the city. Ben Thanh Market: one of the most renowned and popular markets, you can find pretty much anything silk here. The market has stalls selling a lot of homeware goods, clothes and shoes, food items – and the list goes on. Whilst a fascinating shopping experience, note that some of the stall sellers are particularly aggressive (and may curse at you in English if you point out their exploitative prices!). Soul Burger: opposite the Ben Thanh Market this is an oasis of calm and welcome relief from the madness below. This is a restaurant – inspired by some of the soul legends of the West – that serves comfort food mainly for tourists. The food is good and the atmosphere great. This was, however, the most expensive meal of our entire trip so expect to pay London/New York City prices here! 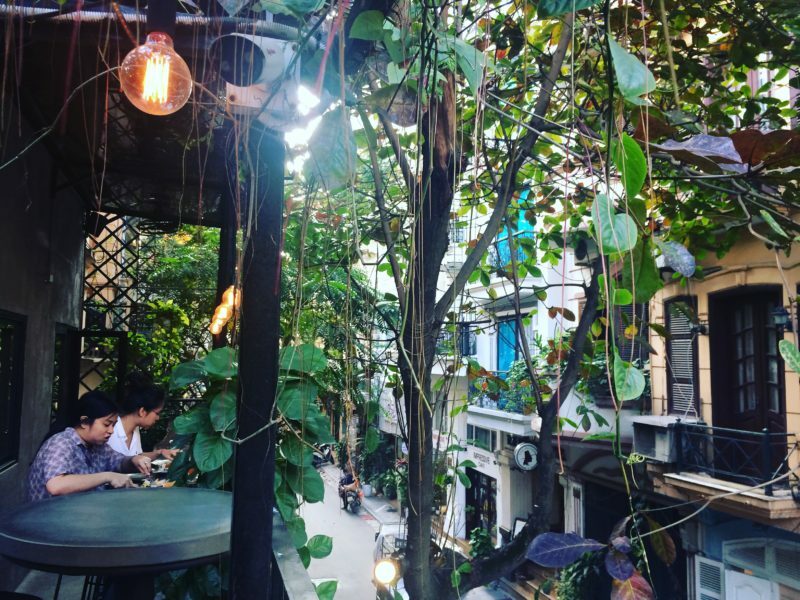 Dong Khoi Street: has had a new lease of life. Home to many French colonial buildings, it had its hey day during the French occupation. During the Vietnam War the street’s name became Freedom Street and now it is locally known as Dong Khoi – or Total Revolution. 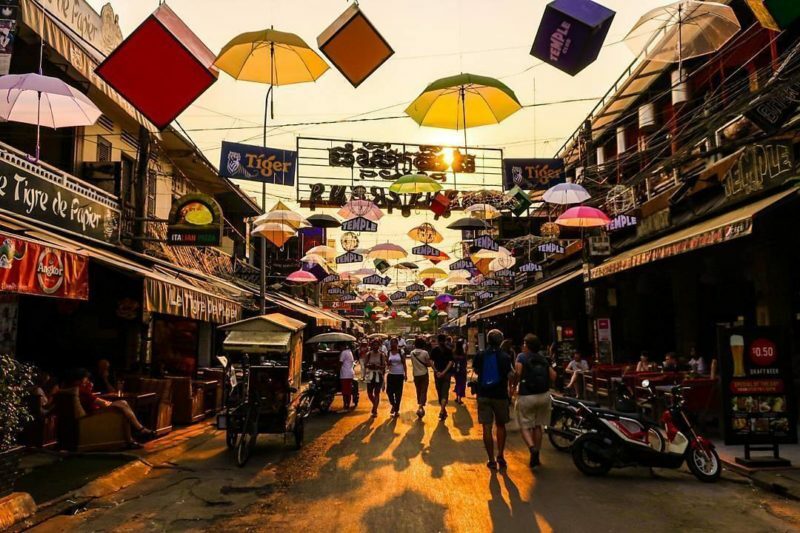 Dong Khoi Street boasts all of the requisite designer and couture brands that a developed city requires. The streets surrounding boast an array of boutiques and quirky eateries. It is worth a visit for the architectural magnificence alone if you don’t plan to overspend on ubiquitous fashion goods. Notre-Dame Cathedral Basilica of Saigon: A beautiful example of French colonial architecture and influence. Oakwood Residences Saigon – read our review here. Ahhhh, Lang Co. The idyllic blue waters of Lang Co. 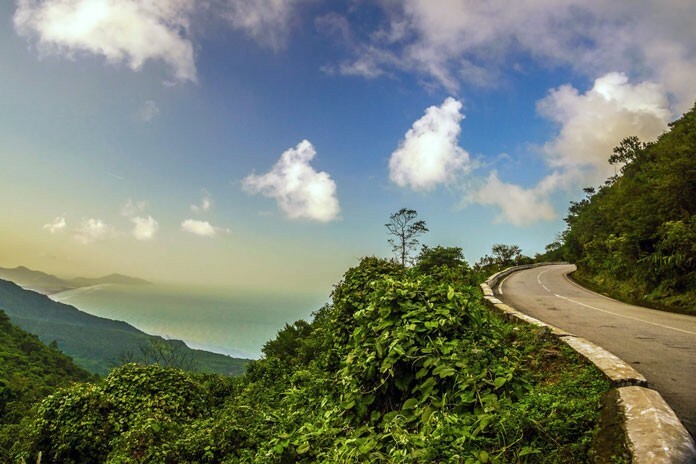 They transport you to harmony, away from the hustle and grind that flanks you on either side: Da Nang and Hoi An to the West and Hue to the East. Lang Co itself is a sleepy fishing village and most people, we would guess, come to Lang Co to visit its neighbouring cities. Read on below. Hoi An: like Marmite, you’ll either love it or hate. If you’re like us, you’ll fall for its charms on day one, and on day two can’t wait to escape. 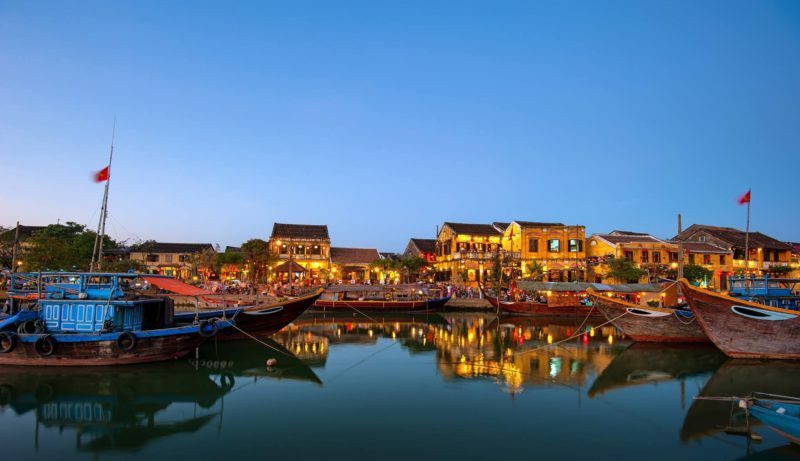 The old town of Hoi An has been an UNESCO World Heritage Site since 1999. Its historic district is a well-preserved example of South East Asian (trading port) culture from the 15th-19th century. There are many fascinating sites here from the ‘Japanese Bridge’, the Museum of History and Culture to the expansive lake that provides a picture perfect moment at any given time. 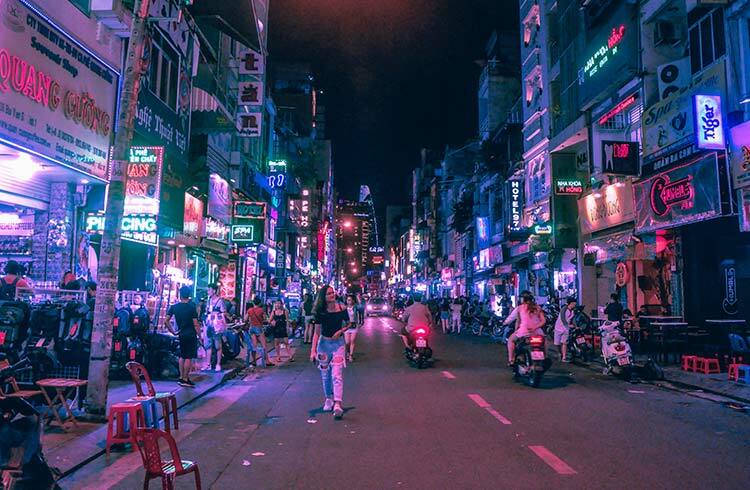 The outskirts of the city are lined with many tailors: most are rapacious and in fact, very few are any good (we would recommend visiting HaNoi instead). The novelty factor of Hoi An is incredibly seductive. Get sucked in and you might wish you had never set foot in the town – caveat emptor! 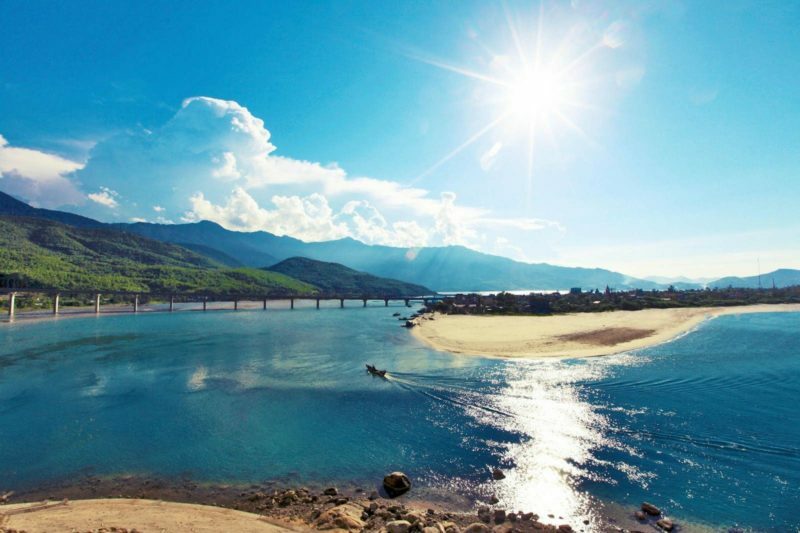 Da Nang: Da Nang is an important city in many senses: its proximity to several UNESCO World Heritage Sites, its access to The Marble Mountains (now home to various artisans), its strategic location as a gateway to other cities and its massive economic muscle. Museums of note include the Da Nang Museum of Champ Sculpture, Da Nang Museum and Da Nang Fine Arts Museum. A couple of cons to the city would be the unruly traffic (which seems to stop for no-one!) and some of the over-priced, ‘take the piss’ restaurants. Hue: The former capital of the Nguyen Dynasty, Hue’s major attraction is its 19th century citadel which encompasses the Imperial City, replete with majestic palaces and shrines. Banyan Tree, Lang Co – read our review here. 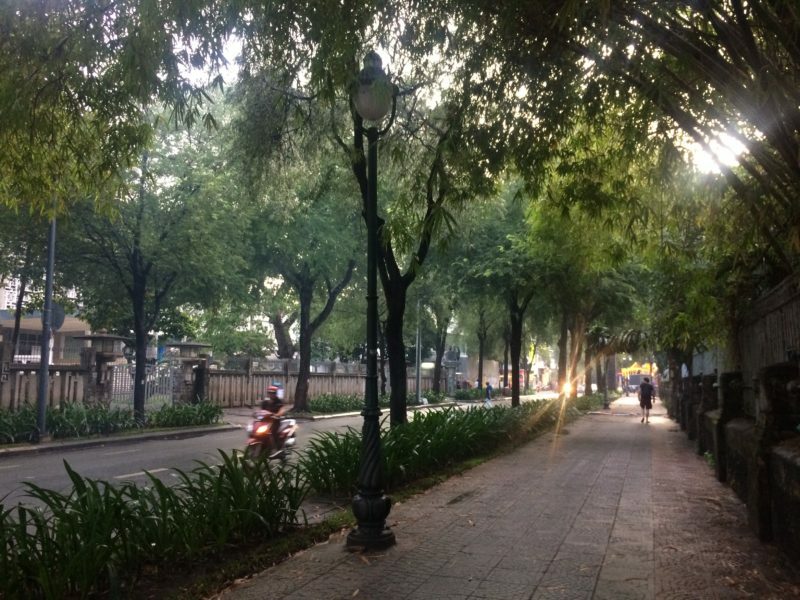 HaNoi, Vietnam’s capital, was one of our favourite stops of our whistle-stop tour. There is an inimitable boutique-y feel to the city and the place is overwhelmingly friendly and accessible. We loved the various quarters – each with their own charm and mischief. Hoan Kiem Lake can be considered the center of the city. 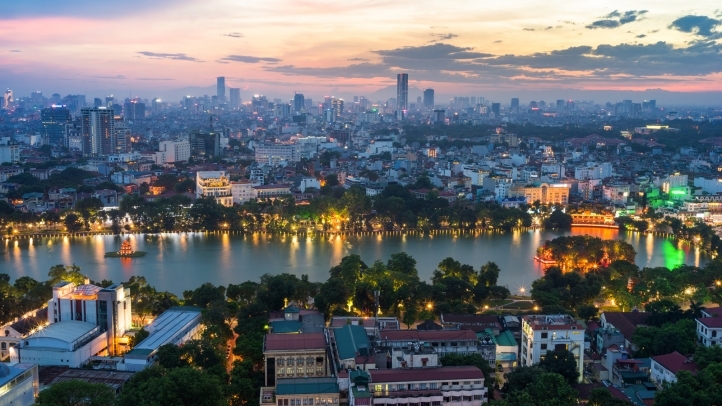 Surrounded on either side of the lake are the financial and shopping districts, various eateries and an almost labyrinthine network of roads leading into different parts of HaNoi. Unlike Ho Cho Minh, there is a large range of shopping to be found here: from boutique to more established tailors, to the upscale shopping districts, to the stalls overflowing with tourist-like goods and, of course, the myriad boutiques that line any given street, shopping in HaNoi feels like a unique experience each and every time. We loved, too, the West Lake area of HaNoi. To the West of the City and near the Ho Chi Minh mausoleum as well as the fascinating Museum of Ethonology, the West Lake is a decidedly expat area, boasting various Italian restaurants and a wonderful atmosphere of sprezzatura. The HaNoi Museum of Ethnology is a must for all of you history buffs. Tran Quoc Pagoda is one of the most beautiful temples in HaNoi – and the oldest of its kind, dating back to the 6th century during the reign of Emperor Ly Nam De Dynasty. The Imperial Citadel of Thang Long, a UNESCO World Heritage Site, remained the seat of the Vietnamese court until 1810 (originally built in 1010), at which point the capital was moved to Hue. 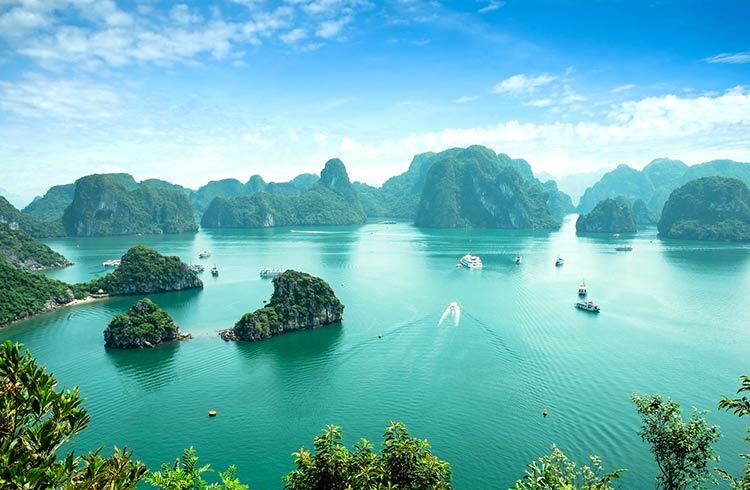 You’ve probably seen thousands of pictures of the enigmatic Ha Long Bay which, alongside Ninh Binh, provided much of the backdrop to the famous movie King Kong. Visiting Ha Long Bay – and Bai Tu Long for those that prefer a less tourist-y trip – is one of those inimitable once-in-a-lifetime kind of experiences. Gliding through the dark blue waters without any noise and watching the sun set is probably something you will remember for the rest of your life. Be careful which cruise you choose, though, as some will only take you to overcrowded tourist spots and others may serve almost inedible food! Explore caves, kayak through and around these rock formations and for the more adventurous take a dip! Indochina Junk – read our review here. 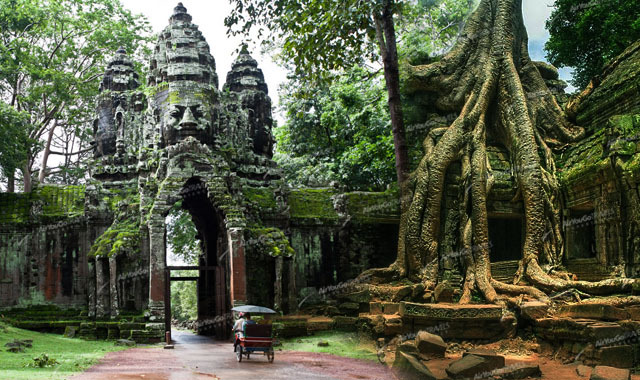 Siem Reap is, without a doubt, one of the great wonders of the world. Most specifically, the Angkor Wat complex is. The most famous temple is Angkor Wat which draws in thousands of tourists every week. The temples are, according to our travel companions who have seen several modern wonders of the world (The Great Wall of China, Machu Picchu, the Colosseum and Chichen Itza, for example), ‘the most extraordinary wonder they have ever seen’. Siem Reap itself, like many-a South East Asian city, has many different layers. The Angkor Night Market envelops much of the center of Siem Reap, having carved out a reputation as a watering-hole for tourists who indulge in cheap booze with the famously dubbed Pub Street being the center for this activity. It is also a destination for delicacies (think tarantula, lizard and snake) as well as seemingly endless shopping. The city is alive, make no mistake (and be careful with your phones, which are easily stolen, as happened in our case). Phnom Kulen National Park – About an hour’s drive away from Siem Reap by TukTuk, the Phnom Kulen National Park is absolutely breathtaking. You will have the opportunity to have a waterfall shower, to have a first-hand jungle-like experience and see the epic Kbal Spean reliefs carved onto the rocks of the riverbed. Whilst there are various polished hotels, for a more authentic experience we would recommend hiring a private villa. Contact us for more information.